Jimmy Rollins will make his much anticipated return to Philadelphia this week when his Dodgers visit the Phillies at Citizens Bank Park. The 36-year-old spent 15 seasons with the Phillies before heading out west to Los Angeles this season, but his trip back to the City of Brotherly Love isn’t garnering big ticket demand on the secondary market. In fact, Phillies vs. Dodgers tickets this week are actually below season average. 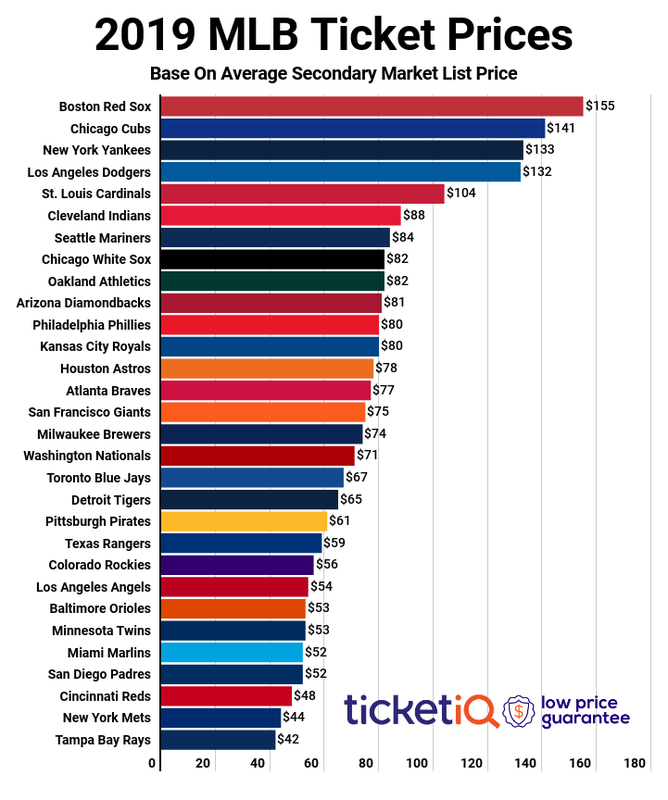 The average secondary price for Phillies vs Dodgers tickets is $56.72, marking a 16% drop below the season average of $67.59. The series kicks off on Tuesday night as Jerome Williams takes the hill against the Dodgers’ Alex Wood. According to TicketIQ, the average secondary price for Tuesday Phillies vs Dodgers tickets is $61.49. That is 9% below season average.Tuesday night’s game is the most expensive game of the series, however, and the cheapest available ticket is listed for $20. Wednesday welcomes the second game of the series. Aaron Harang gets the nod for the Phillies and will go up against the Dodgers’ Brett Anderson. The average secondary price for Wednesday Phillies vs Dodgers tickets is $57.27, down 15.2% below season average, and the get-in price starts at $16. The finale of the series will be held on Thursday afternoon. It will be the cheapest game of the series, with tickets owning a secondary average of $54.35 and get-in price starting at $14. Pat Buchanan will start for the Phillies and is 2-5 with a 6.44 ERA on the season. The Dodgers will send out Zack Greinke, one of the National League’s top pitchers. Rollins played 1,047 games as a member of the Phillies and won the World Series with the team in 2008. He is a 3-time All-Star, 4-time Gold Glove Award winner and won the National League MVP in 2007. He is having an off season in his first year in Los Angeles, however, and returns to Philadelphia batting just .216 with a WAR of -0.2.